Spice Group, an emerging player in the mobile and IT sector, has announced the opening of 50 AndroidLand stores across India in next 18 months. Spice Group manufactures mobile phones (Android OS) and also runs a chain of 650 multi brand mobile retail outlets, Spice Hotspot. The stores will be opened in collaboration with Google Inc, owner of the Android OS. Additionally, Spice Group will also set up 50 AndroidLand Mini stores within existing Spice Hotspot stores. 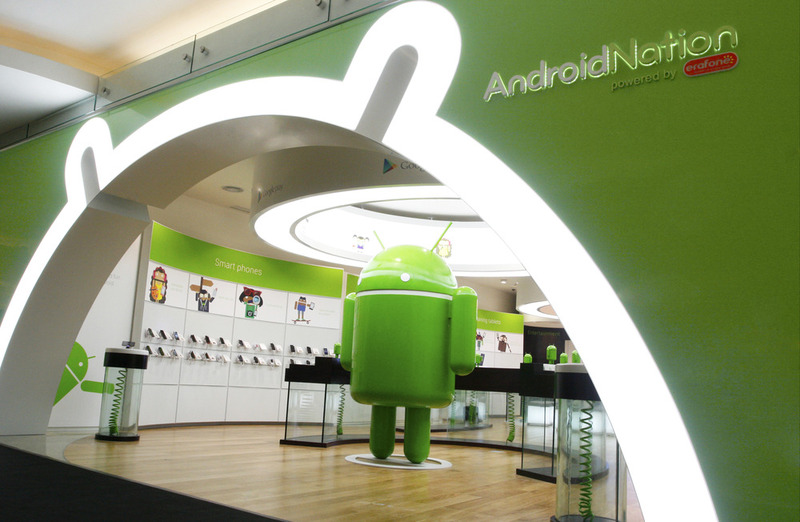 India’s is the second nation, after Indonesia, globally to open AndroidLand Mini shop-in-shop stores. These stores will feature Android based phones available across brands including Samsung, Sony, HTC, Lenovo, Xolo, Micromax and Karbonn, along with Spice. India is seeing a strong levels of mobile penetration with a majority of these subscribers being Android lovers. Looking at this love for Android in phones starting from as low as Rs 5,000, Google now looks at capturing the Indian retail market with its brick n mortar stores, Android Nation.